We specialise in the treatment of muscle, bone and soft tissue injuries of the foot and lower limbs. Lower limb mechanics affect the knees, hips and spinal movement during activity and as such, a comprehensive biomechanical assessment and video gait analysis is performed so that the cause of the injury can be identified. We will assess your current sports and work shoes and provide a footwear prescription if required. We use a variety of treatment modalities including therapeutic ultrasound, dry needling, prolotherapy injections, kinesio-taping and sports strapping to name a few. If required, a 3D scan of your feet may be taken and custom-made foot orthotics are designed for you in order to correct abnormal mechanics to reduce strain on injured muscles, ligaments, soft tissue and bone. In some instances, referral for diagnostic imaging such as x-rays or ultrasound may also be necessary. Contrary to adults, children’s feet are still growing and going through developmental phases which means that they may require ongoing monitoring. As the musculoskeletal system of a child grows and develops, flat feet, pigeon toes, knee and heel pain are amongst the most common complaints we deal with. “Growing pains” are in fact often treatable conditions that can be successfully managed. Children are also prone to skin conditions such as warts, fungal infections and ingrown nails. Should you have any concerns regarding your child’s feet, our team of experienced podiatrists are able to ensure that the right treatment plan is implemented. Are your feet sore, callused and dry? Are your toenails thick, discoloured and painful? Do you suffer from pain caused by bunions, claw toes or hammer toes? If you are trying to lead a healthy and active lifestyle but are being held back by foot or lower limb pain, a regular visit to your podiatrist can help reduce discomfort and prevent reoccurrence. Common conditions we treat include ingrown nails, fungal infections, cracked heels, callus and corns, warts and foreign body removal. Footwear can be a major contributing factor to foot deformity or skin conditions. We will assess your shoes together with your foot type and provide you with the appropriate advice. Lead podiatrist - Johan Steenkamp - has extensive experience in helping people with high-risk foot conditions keep their feet healthy. Conditions such as diabetes predispose you to foot complications such as callus, ulceration, deformity, infection and even amputation. Regular assessment and treatment by a podiatrist is vital to ensure ongoing mobility and prevention of long-term foot complications. 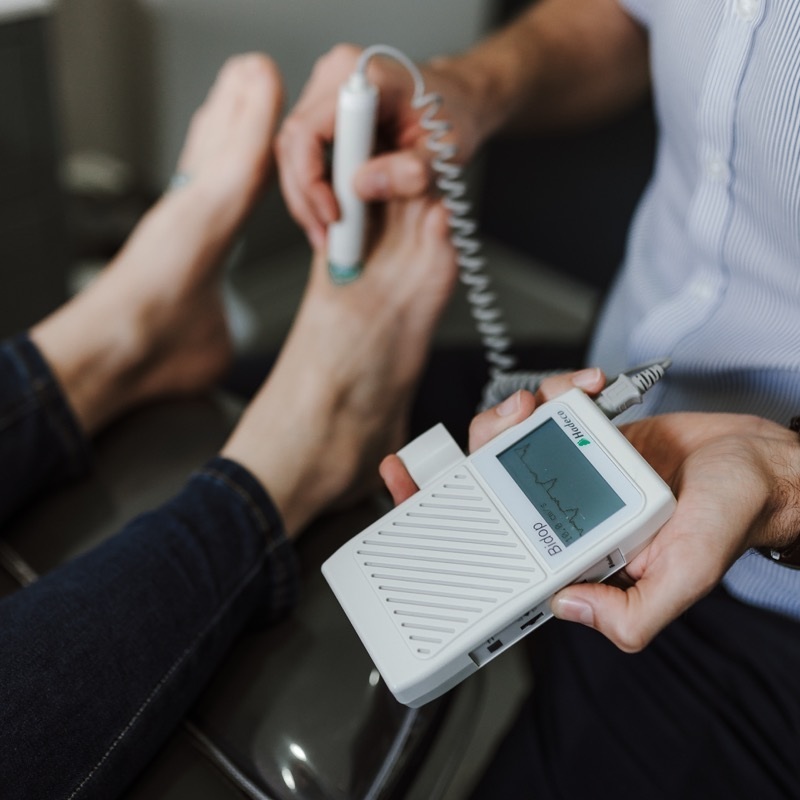 Although treatment involves general foot care, part of the management of high risk feet include regular neurological and vascular assessment as well as footwear and foot care education. It is important to diagnose vascular and neurological anomalies so that preventative and management strategies can be implemented. If you have a chronic condition such as diabetes, rheumatoid arthritis, we can help. An ingrown toenail is a nail that pierces or presses up against the skin surrounding the nail and can be caused by ill-fitting footwear, abnormally curved, damaged, thickened or fungal nails. This can cause redness, swelling and pain. If not treated correctly, ingrown toenails can become infected. If an ingrown toenail becomes a chronic problem, nail surgery is often recommended. A Partial Nail Avulsion (PNA) is one of the most common nail procedures performed by our practitioners at JS Podiatry. It is a safe and effective surgical treatment using local anaesthesia which takes approximately one hour. It involves the removal of a small section of the side of the nail, followed by the application of a chemical which prevents that small part of the nail from regrowing. After the procedure, patients are able to walk immediately with very little pain. Studies have shown this procedure to be one of the most effective methods with a 97% success rate.